Check out this new video release from Xcorps TV and RIVE video promotions with new music and wild desert motor sports action taking you from from California to Dubai! *DOWN LOAD MUSIC tracks from Fat Joe! Fat Joe, Remy Ma, & French Montana hit the desert sands in their flashy new video for “Cookin” featuring RySoValid which also features Xcorps TV host Rat Sult pushing the pedal hard on his fully custom sand dragger packing a 400 HP LS Chevy engine and 18” of shock travel! World influential Rap artist Bronx native Fat Joe continues to break music industry barriers as a multi platinum selling Latino artist who has performed previously on Xcorps is back this time with a posse of talent that includes Remy Ma & French Montana featuring RySoValid – Joe’s real life son. Fat Joe and friends roll out the style in this video shot by Xcorps TV in Southern California and by Fat Joe in the desert near Dubai in Arab Emirates. To date Mr. Fat Joe has sold over 2.5 million albums so have and look and a listen to “Cookin”As As Fat mentions in this his latest song “Cookin” featured here on Xcorps “El Chapa noticed me…”! Hopefully just in a musical sense! Directed by Eif Rivera, the luxurious & flashy new video finds the NYC rappers cruising the desert sand in Jeeps, dirt bikes & even camels before breaking out the Lambo’s & hitting the Dubai streets for some high speeds thrills! It appears to be just another day in the life for Fat Joe & company and an expensive one at that! Fat Joe’s fame resonates throughout the USA and even more overseas where love for his music and Hip Hop itself continues to grow tremendously. In addition to two Grammy nominations, Joe enjoyed major campaign endorsements by Boost Mobile, Bacardi, Latino Film Festival, New Era, Jordan Brands and Marc Ecko. Fat Joe is also broadening his film portfolio most recently appearing in Scary Movie 3 and as the voice of Seymour in Happy Feet. Fat Joe the entertainer doubles as Joseph the husband and father, family bonds have influenced him to be active in efforts to better youth, society, and his fan base. Since 2004 he has been a strong advocate for Voto Latino a program co-founded by Rosario Dawson to encourage Latinos to exercise their right to vote. Fat Joe has solidified his preeminent position as one of the few Latino rappers to infiltrate a predominately African American rap scene and become a major staple in the music industry. He thrives as a multifaceted entertainer not only in music, but television and film. Stay tuned for future XCTV Action Sports and Music Special Presentations! Special thanks to RIVE video promotions. 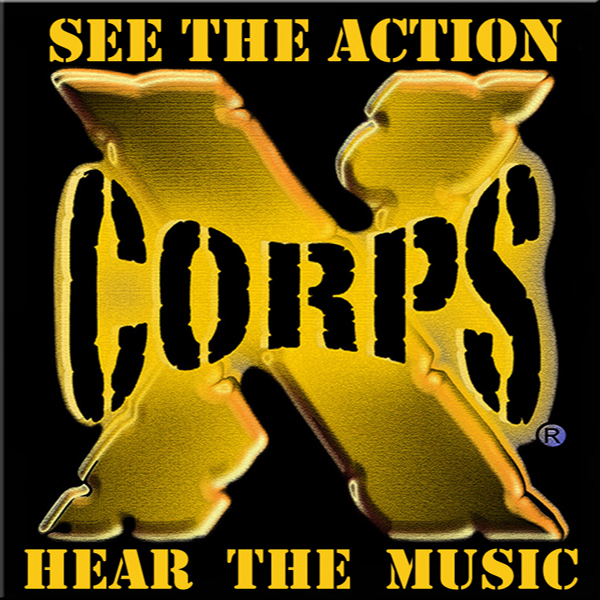 Xcorps is a Journalistic Action Sports Adventure Music TV program.